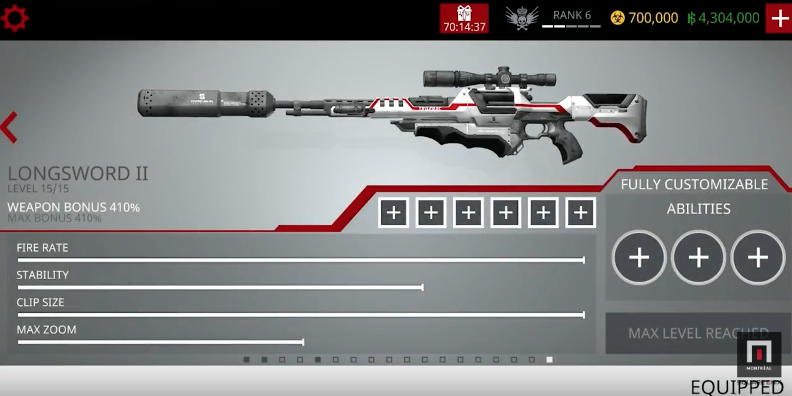 Square Enix Montreal recently released a new Golden Week update for their popular game Hitman: Sniper, which adds a new customizable Longsword II sniper rifle from Deus Ex, plus also brings new music and costumes for targets. The update says it also adds “everything themed Cyberpunk Neo-Tokyo” as well. The new Golden Week update for Hitman: Sniper is now available on the App Store and the Google Play Store! Make sure to check out the new fully customizable sniper rifle from the Deus Ex universe in the new cyberpunk version of the Krug mansion. Click here to download Hitman: Sniper for iOS in the App Store for $0.99.